A crafted, well told story is part gift, part message. In this workshop participants will learn how to find, craft and tell stories from their life experience. You will learn story structure, how to look for story worthy memories and the crafting process that turns the clay of life into story. Participants will develop a list of possible story memories, choose one to develop, work in small groups to practice, and depending on numbers, a few or all participants will tell and receive feedback. A great understanding of how to find, craft and tell personal stories, an appreciation of story structure and the secret gift of memoir storytelling – personal understanding and a more meaningful life. They will have a list of possible story memories, a draft story, and a chance to practice their story and hear other personal stories, fun. When we understand each other through experience and lived emotion, which is the vehicle of personal story, then we can connect, explain, and know each other, eye to eye, heart to heart. Kate Lawrence has a passion and purpose for personal storytelling. 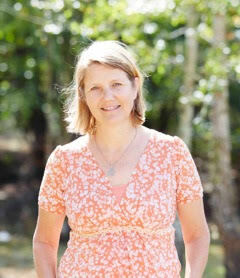 She is an experienced and trained facilitator, teacher and storytelling coach, with sense of fun. She has a deep and abiding faith in human stories and never tires of hearing them. She takes her craft seriously and as well as telling and teaching, she regularly reads, reflects and writes about storytelling. Kate is particularly good at creating safe and respectful spaces for people to explore their stories.